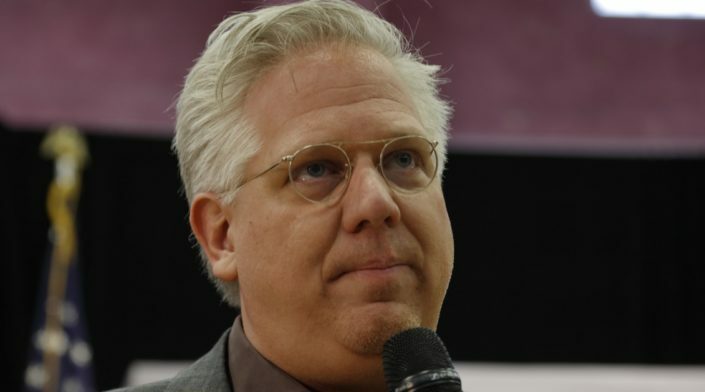 Conservative radio host Glenn Beck believes that if President Donald Trump is not re-elected in 2020, it could be the “end of the country as we know it” due to the rise of radicalism and socialism in the Democratic Party. Speaking to Fox News host Sean Hannity, Beck discussed the changing face of the Democratic Party since the 2018 midterms and the rise of Trump. Last year witnessed the election of far-left Democratic candidates like Reps. Alexandria Ocasio-Cortez (D-NY), Rashida Tlaib (D-MI), and Ilhan Omar (D-MN) who have endorsed radical socialist reforms. Since the midterms, Democrats have embraced a number of extreme policy proposals. From packing the Supreme Court and lowering the voting age to 16, to abolishing the Immigration and Customs Enforcement agency and the electoral college, the new radical left has embraced a platform that is as extreme as any experienced in America’s past. But no other progressive reform symbolizes the Democratic Party slide to the far-left more than the Green New Deal. This nonbinding congressional resolution seeks to “achieve net-zero greenhouse gas emissions” at the expense of trillions of dollars in spending and millions of jobs. Beck, the founder of Blaze Media, warned that Democrats risk alienating their base, much like the British Labour Party. Several MPs have left Britain’s largest left-wing party after several of its members, including Labour Party leader Jeremy Corbyn, came under fire for supporting anti-Semitic causes. The Democratic Party recently experienced its own bout of anti-Semitic outbursts from Reps. Tlaib and Omar. Both congresswomen, the first Muslim women to hold federal office in America, have been criticized for repeating common anti-Semitic tropes and supporting anti-Israel policies. When Hannity asked him how Democrats could fix their problems, Beck gave a simple answer. “Waking up,” he said. If Americans don’t wake up and confront the rising radicalism in the Democratic Party, they will effectively embrace it. And that will be the end of America as we know it.